Dr.M.K.Umathe College, Nagpur has advertised in LOKMAT Newspaper for the recruitment of Lecturers job vacancies. 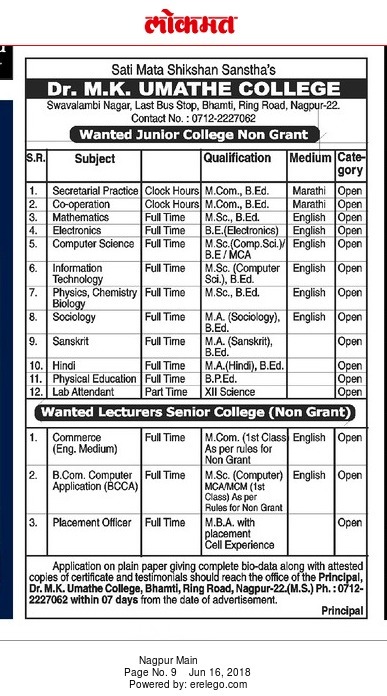 Interested and eligible job aspirants are requested to apply with in 7 days. Check out further more details below.